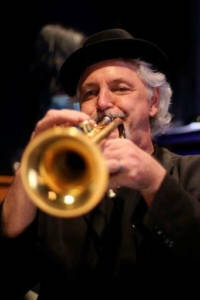 The Montclair Music Studio is proud to introduce Rob Henke, Brass Instructor and Faculty Member Since 2002. Rob is accepting students on Wednesdays & Fridays. Hailing from Oak Park, Illinois, Rob is a very experienced instructor of trumpet, trombone, as well as other brass instruments. He has been with Montclair Music Studio for over 12 years. Rob always encourages his students to push themselves but also likes to create a lighthearted, positive atmosphere that fosters an ease of being and creativity. Some of Rob’s favorite method books are Rubank and Arban’s Trumpet Method, for younger and older students respectively. Early Jackson 5 (“ABC”), Chicago gospel television shows from the late sixties and early seventies. My dad sang a little opera in Chicago before he started smoking Luckies. Mom sang around the house. Have you participated in any extracurricular organizations or music clubs? What are other types of instruments in your repertoire? High School Jazz band and High School newspaper. Lots of jazz clubs in New York, Paris, and Berlin. I love art and drawing.